Thx to every person who has supported us so well throughout the trip, back home, on the blog, and along the way. 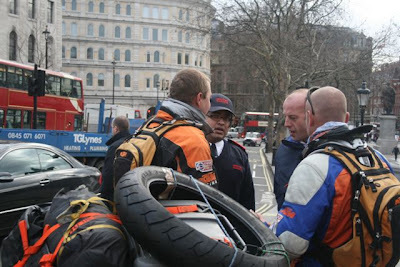 We have met so many wonderful people who has helped us on the trip to the UK. Keep watching the blog for news and photo`s on the skateboard handout in Cape Town, coming up soon. Security was on us on Trafalgar square very quickly, as they have picked us up on CCTV. The champers will have to wait. 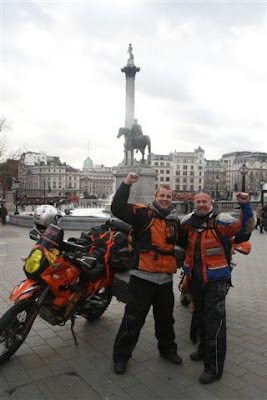 Here we are, safely in London, 17 000 km`s later! Many thx to KFM, 94.5, breakfast team, for there support. They have interviewed us twice on the trip so far. Winter in France. 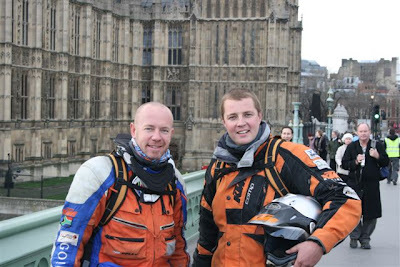 We had to stock up on new jackets and winter gloves for the last part through Europe. Lots of snow on the mountains in Italy. Our Skateboard design for the 1800 skateboards witch we will hand out to underprivileged children in Cape Town. The shipment is due mid February, and we will then distribute the skateboards to the children. 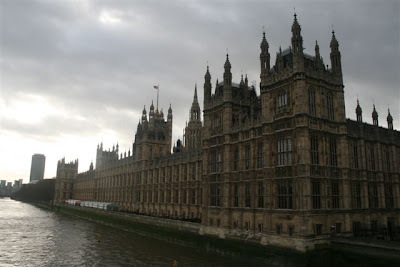 Keep watching our blog for photo`s thereof!! 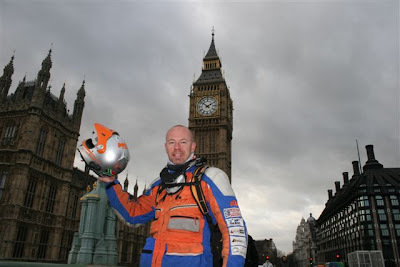 We are now only 1600 km`s away from London, and we should have the bikes back out of customs on Monday 21st, and will then leave Milan for Monaco. Our Flight back to SA is booked for the 25th, and we should make it on time. 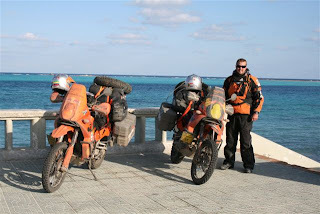 We are now enjoying a much easier part of the trip than the 14 000 km`s travelled trought Africa. 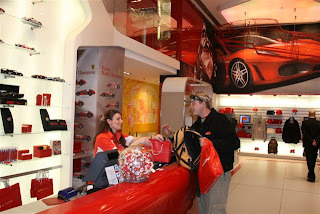 Visiting Milano is not complete if you do not make a visit to the Ferrari factory store. Here you can buy anything from a Ferrari baby grow, to a Ferrari surfboard @ 1200 Euro. And a used nosecone @ 9000 Euro, will make your bar the envy of your friends! 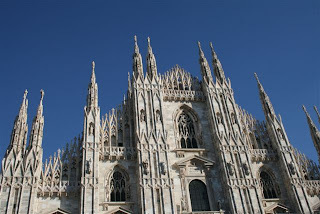 The cathedral Duomo in Milan central, an impressive sight with 3200 small statues, and over 600 years old. 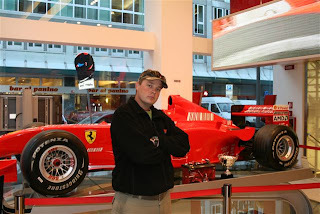 Milan is a beautiful city with friendly people, and much easier to travel in, than Egypt. We made it to Marsa Matrouh, on the Mediterranean Sea, on way to Libya, but were we in for a surprise. Well this is the story. We made our way through the Egyptian customs, over to the Libian side, and then our day went totaly pear shaped. We where refused entry into Libya due to some visum translation not in our passports. We had the Arabic translations done for us back in South Africa, but this official was not happy with our translations, and now we where stuck. With single entry visum for Egypt, how will we be able to reenter Egypt again. We will also need to re register the bikes thru customs. 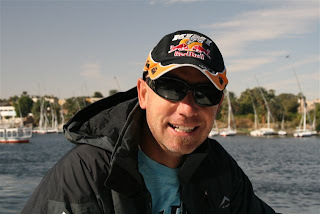 ( A process whitch has taken allot of time back in Aswan). In all confusion, I have left my ignition on, and as we tried to make our way back to the Egyptian side, no spark! Out came the tools, and after some time only, we found the blown fuse next to the battery box. 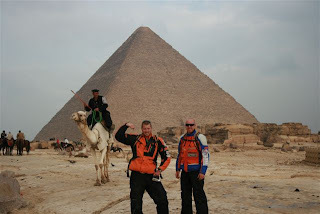 Back on Egypt side, the officials really helped us well, and reregistrated the bikes in a couple of hours, and our passports where stamped, single entry cancelled, and we where legally back in Egypt again. As there is only one ferry from Africa (Tunisia), and Libya is no longer an option, we now have to airlift the bikes to Italy. 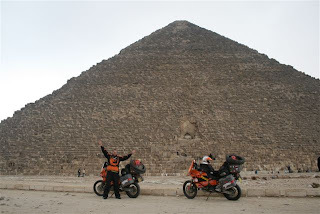 So we made our way back to Cairo, and made the 700 km trip through rain and cold, but we have our plan B in action now. The bikes are booked in at Air France, and will leave for Milan on Wednesday the 16 th. 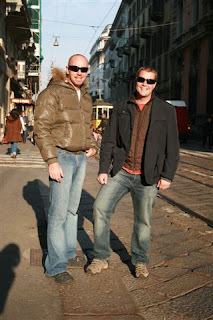 We will make sure of custom formalities, and we will then fly out on Tuesday the 15 th, to Milan. 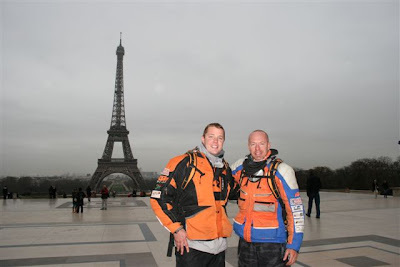 Once we received our bikes on Friday or Saturday, we will make our way to Monte Carlo, Paris, and YES, London. Lining it up? Just checking that these Egyptians has done there job correctly. Jip, all looks ok from here. 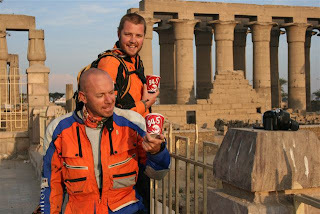 We had time for some fun pic`s before making our way to Alexandria. 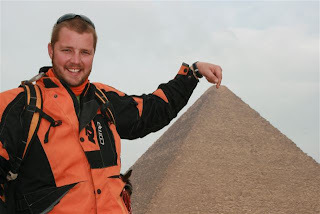 We thought the pyramids where much bigger? 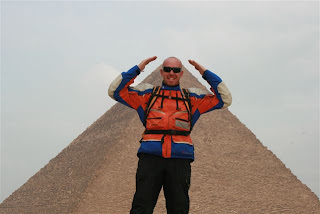 SM reaching for the top and scratching some ancient stones on the pyramid`s top. Team photo time again, hey where is our feet Mr China man, who has taken this photo?? Well at least we got the shot and did not paid for this pic. See all the rain clouds, and we have waited for the fog to clear, before we could take some photo`s at the pyramids here in Cairo. We now have joined the Cape to Cairo Club. 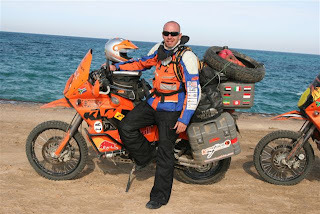 Safely in Cairo after 13 000 km`s. !! What a nice feeling. 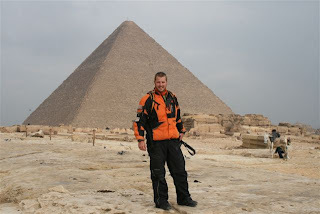 Shortly after this photo was taken a security officer threatened to remove our cameras as they did not like the KTM `s right in front of the pyramids. To commercial for them. Relax guys, this is for our blog only. Travelling from Hurghada along the Read Sea was special. 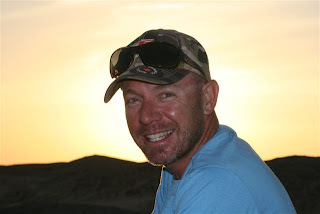 This photo was taken with the Gulf of Suez in the background. The road is in a good condition and we speeded up to 140km/h, to make up for lost time. 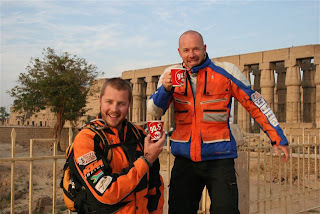 We travelled 800 kilometres on this day, and made our way to Cairo just before dark. 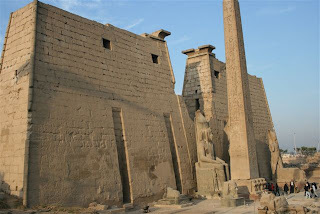 An impressive entrance to the temple on the Nile river in Luxor. Some temple remains here in Luxor. 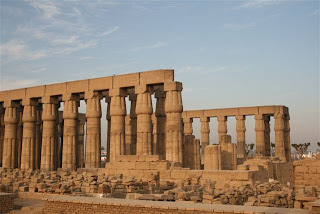 Unfortunately we had not enough time to visit all the temples and the Valley of the Kings, due to our lost time in Aswan. Early morning photo at Luxor, and wow, this is so great to see in real life. Behind this temple lies the Nile, and the Valley of the Kings. 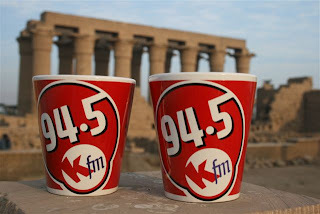 In true breakfast spirit, this photo was taken at 8 in the morning at Luxor. 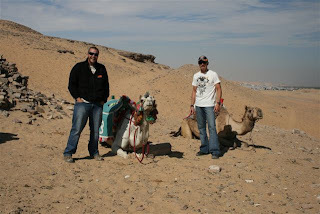 We had to pay a local to take some team photo`s, as nothing is for free here in Egypt. At last the bikes where registered and on the road again, after a lot of hassle, custom delays and yet another public holiday. 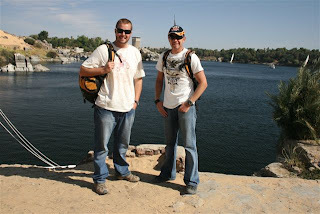 We left Aswan on Tuesday the 8th of January, for Luxor. We made the trip to Luxor in a armed convoy, as this is the only way foreigners are allowed to travel between cities in Egypt. 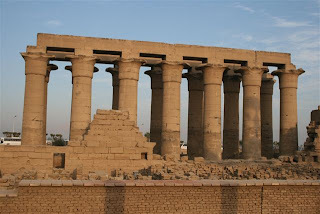 This photo is taken early morning at a temple remains in Luxor. 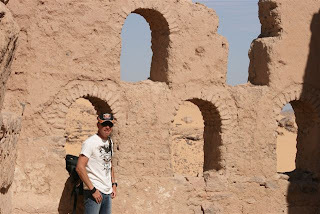 Tomb raider, no just enjoying every moment here in Aswan. 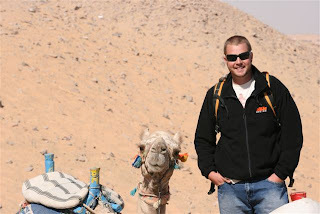 SM and Bob, and what a funny and cool camel he turned out to be. 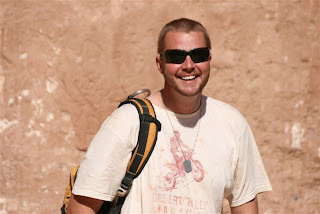 SM`s 1st camel ride. 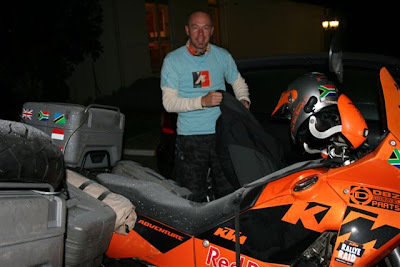 And the KTM top? Its quite chilly here in Aswan, but after the heat in Sudan, this is better weather to travel in. Another day gone by on our trip, SM took this sunset pic at our campsite in the desert. 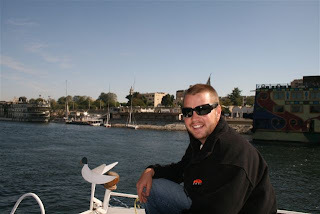 Relaxing on the boat, cruising the Nile today. 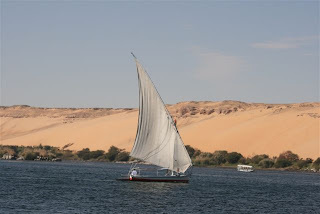 Taking some time to do sightseeing in Aswan today.